Experience the ultimate in controller technology! 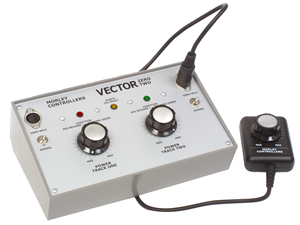 Morley Controllers design and make probably the best controllers available for your model railway. We only supply direct to you the customer giving you the best value. The V series of Controllers have state-of-the-art design, electronics and construction and offer the very best in performance and capability. With on board Capacitor Discharge Units (CDU) for positive points motor operation. The Vesta N and Vortrak N are dedicated to N Gauge the other models are suitable for N, H0, 00 and all small gauge systems.The Vanguard for '0' Gauge. Fully tested with a 5 YEAR GUARANTEE.No form of feedback on any of our controllers. Sorry we do not have a drop off or collection facility only Royal Mail or courier.